Rosé is great in giant bottles on the Carlton Terrace. 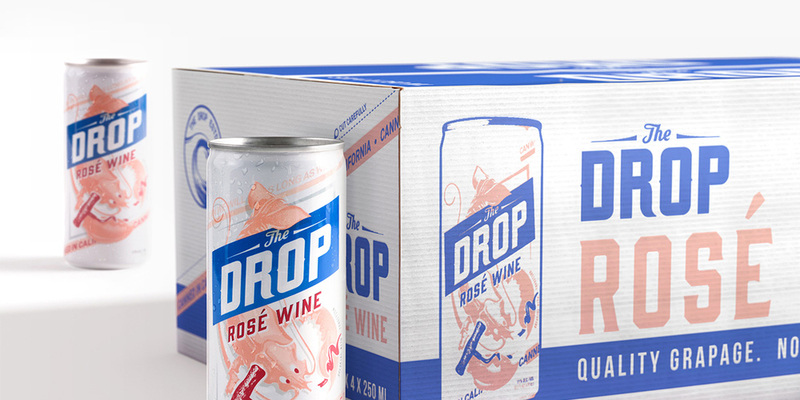 But what if you're one of those average bros who's taken a liking to the pink stuff, which some have even taken to calling "brosé"? It's better in a can, of course. 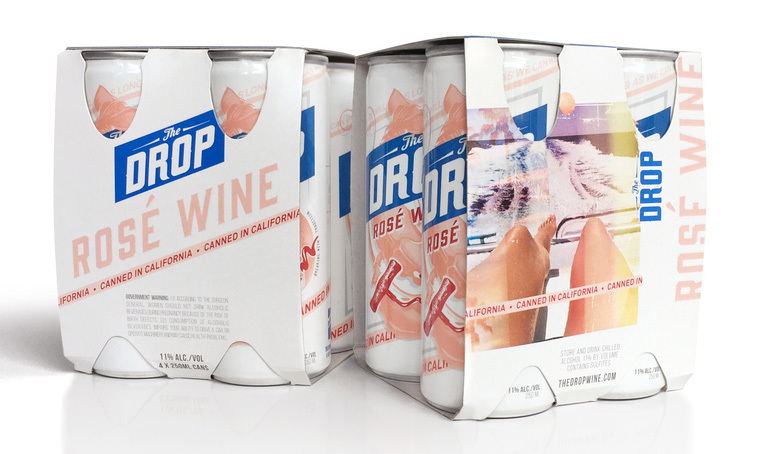 Mangrove Estates recognized this, and with help from design shop Safari Sundays, has packaged its new rosé, called The Drop, in four-packs of 8.4-ounce skinny cans—featured recently on package design blog The Dieline. "We're a wine company that respects the past—the players, the style, the grapes! But the past has passed and life got fast. (The answer was never at the bottom of a bottle anyway. )," the brand says. "So we twisted tradition, bent wine to our will, and put it in a can. Let's forget the corkscrew without being screwed. Finally, a wine packed to keep up with us." "The Drop" is a surfing term. 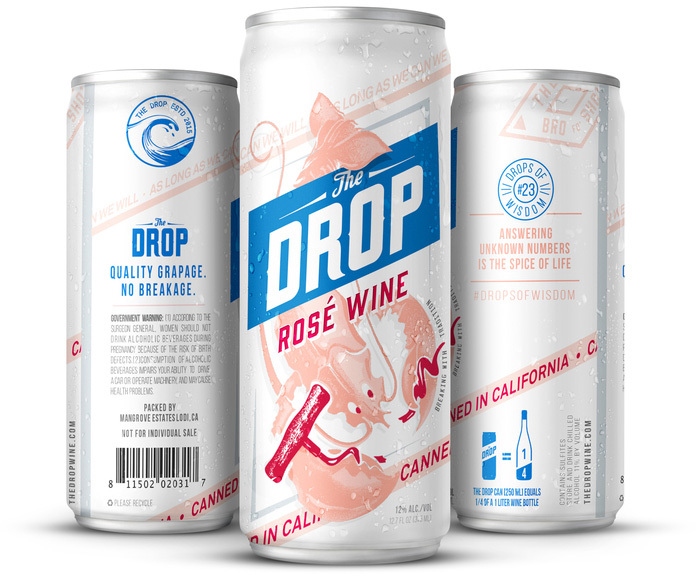 "The breaking wave on our can represents what surfers call 'The Drop,' " the brand explains. "[It's] the make-or-break decision to paddle directly into a wave as it's breaking behind you … when you're 100% in or you wipe out … the moment when everything is possible. We are inspired by those who chase The Drop." The brand's tagline is, "Quality grapage, no breakage." "We wanted a tagline that would sum up the way this brand behaves, not just as a wine but in life, embracing all the good stuff and none of the compromise, exactly what millennials expect," says agency creative director Adam Walko. Check out more about the brand over at The Dieline.